Here’s another great hit from last week’s Interactive Media Tour with “New Girl” actor Max Greenfield! Check out his interview with UsMagazine.com in the link below. Heroes & Heartbreakers Reveals Kyra Davis’ Latest Book Covers! 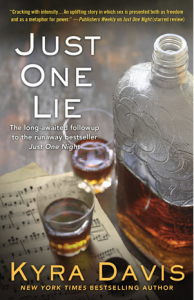 Heroes & Hearbreakers exclusively reveals the book covers today for New York Times bestselling author Kyra Davis’ upcoming books: Just Once More, an e-short available June 22nd, and Just One Lie, the highly anticipated follow-up to New York Times bestseller Just One Night, available July 28th. Read: Cover Tuesday: Exclusive Reveal from Kyra Davis! Katy Evans’ “Manwhore” is a New York Times Bestseller! 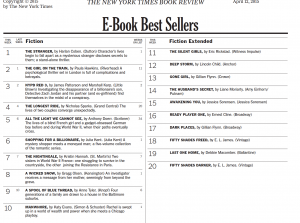 Congratulations Katy Evans on your newest New York Times bestselling series! “NCIS: Los Angeles” star Chris O’Donnell chats with TooFab.com about his Robin costume from “Batman Forever,” his family and more during an Interactive Media Tour. 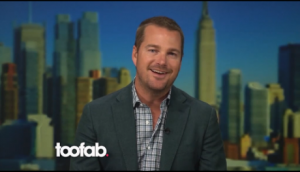 Watch: Chris O’Donnell Talks “Mad Love” Costar Drew Barrymore & Reveals If Robin Costume Still Fits! Max Greenfield IMT with Wonderwall! 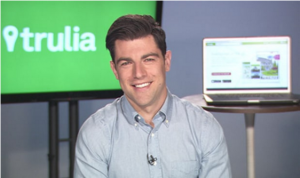 “New Girl” actor Max Greenfield talks about the show’s current season, hiding Zooey’s pregnancy on set, his old roomies and more during an Interactive Media Tour with Wonderwall! They say he’s on sale today. Here’s the final image in our #WhoIsMalcolmSaint campaign for Katy Evans’ Manwhore, available today! Exclusive “Manwhore” Excerpt on USA TODAY Happy Ever After! USA TODAY Happy Ever After reveals an exclusive excerpt today from Katy Evans’ Manwhore. Manwhore officially releases tomorrow, March 24th!